Too fat to Tan; are you measuring the wrong things? Measuring the wrong metrics can damage your Customer’s experience – The two most popular performance metrics call centers and Customer service reps are tracked by are average call time and time-to-resolution. These are dinosaur drivers that management needs to move away from. They are not service friendly. They make your reps solely “task focused” and dehumanize their roles, which dramatically reduces their work satisfaction and increases turnover. 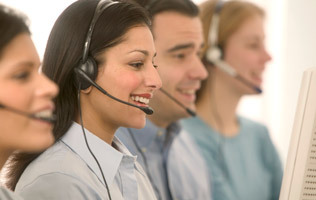 Call Center is an investment in marketing – This is how Zappos looks at their call centers: a strategy to create loyalty through ‘wow’ moments and emotional connections. Zappos still uses metrics, but in support of the Customer experience, which has proven to be quite successful financially as well. 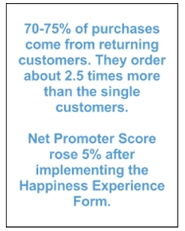 An article by Software Advice, “A Zappos Lesson in Customer Service Metrics”, shares Zappos’ best practices. They feel it is “more important that we make an emotional connection with the Customer, rather than just quickly getting them off the phone,” says Derek Carder, Customer loyalty operations manager for Zappos. That is why Zappos places more value on the percent of time an agent spends on the phone versus quick time to resolution or processing high call volumes. This metric-personal service level-is a way to “empower the team to utilize their time in a way that best promotes Customer loyalty,” Carder says. Rewarding the right behavior produces the right results – Customer Service reps are not machines, they are people who enjoy building relationships. Also noted in this article is how CSRs at Zappos are expected to spend at least 80 percent of their time in Customer-facing interactions. It doesn’t matter if that’s one call, or 100. Reps who achieve this target get to spin “the wheel of happiness” to win gift cards and other rewards. Those who fall below the 80 percent line receive coaching. Did they provide a “wow” experience? Too Fat To Tan – After a woman purchased a tanning package, she was told she was too fat to tan at a tanning salon, and the salon would not give her a refund. The employee said, “Sorry, but I’m not going to let you tan today because we’ve just implemented a new policy where anyone over 230 pounds can’t go in one of our beds.” When the Customer asked for a refund, she was told we don’t give refunds. When the local news got involved, they called the tanning salon manager, Gus, and asked him if he would refund the Customer’s tanning package. Gus suggested that the Customer contact her credit card company and try to cancel the transaction. Watch the news report, Too Fat to tan. How it should have been handled – It won’t shock you that the Better Business Bureau gives this tanning salon an ‘F’ rating. I totally understand safety first, as well as company restrictions for maintaining their equipment. It is not the policy that was wrong, but how they handled the situation. They have a standup bed that was not working that day, so this Customer’s only option was the laydown bed. All they had to do was apologize for the inconvenience that the salon caused because their standup bed wasn’t working, and add a complimentary tanning session to her package for the inconvenience of not being able to tan that day. And more importantly, educate the Customers about any restrictions before they purchase a package. they will generate more new business than any kind of advertising campaign ever could. I know this website offers quality based articles and additional stuff, is there any other web page which presents these kinds of stuff in quality?